I will be the first to admit that I am no Martha Stewart. Far from it. But when it comes to entertaining, my motto is simpler is better. When preparing for a lunch, or any party, the most important advice I can give is this, be prepared. For example, if the engagement is outdoors, make sure you have sunscreen, bug spray, and even bug-bite ointment handy. 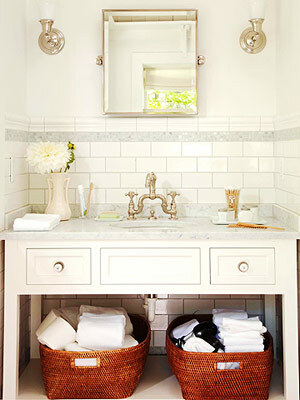 Keep these items in a decorative basket in the powder room so that guests can access them easily. (If you tell them you have these items, they may be polite and turn you down.) Keep your guests comfortable, and forgo the fussiness. Give them the ability to access it on their own, in the privacy of the bathroom, now you have achieved comfort! As I say all the time, mix things up. Mix grandma’s china with flea market finds. This adds casualness, and keeps your guests from getting fidgety. Find a color palette that is appropriate for the time of year, and the purpose of the lunch. 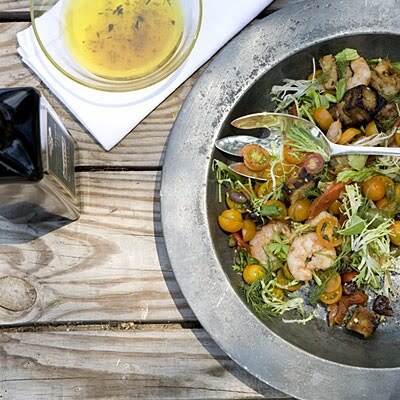 Spring is a great inspiration for luncheons. The trees are blooming, along with all those beautiful flowers, and they create an unimaginable backdrop of art. Coordinate your linens and dishes with this back drop and keep it simple. If you are unsure of what to choose, white and cream are fail proof. Use simple containers from around the house for flowers. Quick tip: Use fruit as an easy arrangement. Zest a few lemons or oranges and place them with toothpicks in a small vase with floral foam to hold them in place. They provide great color, and smell wonderful. 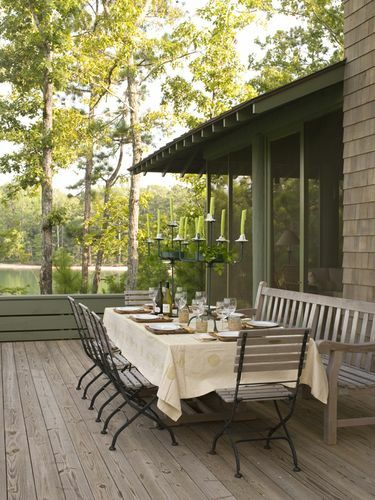 Place candle holders or lanterns on the table to create atmosphere. Make sure your candles are unscented, and remember to trim the wicks before you light them so they burn cleanly. Make sure the table is pleasing. Keep things simple, but delightful for your guests. If you are entertaining more than six people, make sure staple items are accessible such as salt, bread, water, and butter. I generally have two of each, or one on each end of the table. 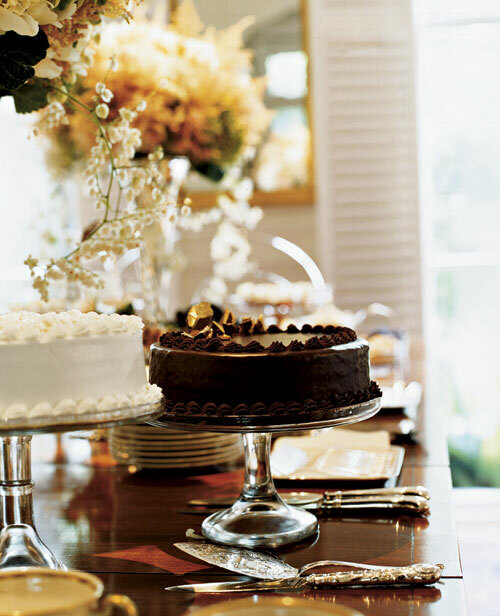 Create a dessert buffet table that displays your sugary sweets like a trophy. This table can be overly decorated and be prepared as eye candy for your guests. Offer guests glasses for water or wine, and additional plates so they can enjoy these extras at their own pace at the end of the meal. Last but not least, choose a menu that is appropriate but easy for you to manage. The food has to compliment the table and vice versus. Create a menu that can be made ahead of time, so that when guests arrive, you’re out of the kitchen and enjoying their company.